Were these track stars cheated out of their medals? 22-Jul-2013 by THF in Hoot's Corner | Comments Off on Were these track stars cheated out of their medals? Were these British track stars cheated out of their medals? Please read this story and tell us what YOU think. 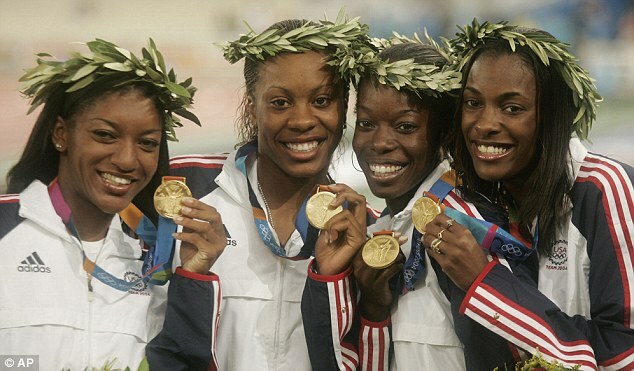 The British Olympic Association are to take up the case of the British 400m women cheated out of an Olympic track relay medal after the IOC last month decided the US could keep their 2004 gold even though one of their runners admitted taking steroids. In a week when the integrity of athletics was again pushed to its limit with positive drug tests for Tyson Gay and Asafa Powell, British Olympian Lee McConnell says the 2004 decision has to be overturned if the IOC want to retain any credibility on their stance against doping. 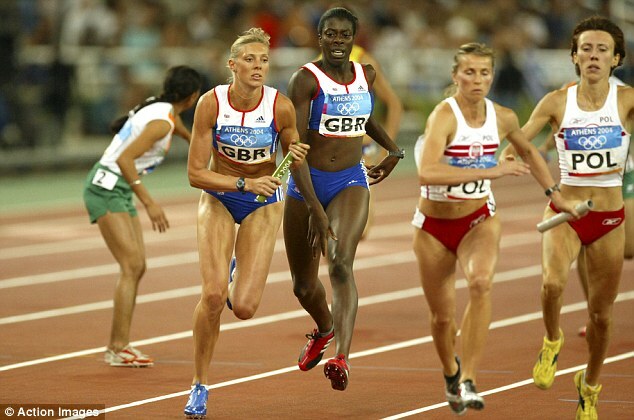 McConnell, who along with Christine Ohuruogu, Catherine Murphy and Donna Fraser, was fourth in the 2004 4x400m relay final in Athens, had hoped for a bronze when Crystal Cox, who ran for the winning US team in the heats but not the final, admitted taking steroids between 2001-2004 and was banned for four years. The IOC have overturned results when an athlete has admitted taking drugs and, though they stripped Cox of an individual medal, they say the US team can keep their gold. ‘My disappointment was that people were being allowed to cheat and keep the medal,’ said McConnell. ‘What message is that sending out for the sport and to youngsters coming into it? Winning an Olympic medal is why you do the sport. It’s the most important medal you can ever get. ‘And you’ve been robbed of the chance for friends and family seeing you on the podium, which is a big part of it. Because of that, I’m not 100 per cent certain what that medal would have meant to me but it’s more about the message the IAAF and the IOC send. It’s saying people can take drugs and get away with it. People who are running clean are just being punished again and again. Better times: The British 4x400m relay team celebrate bronze in the 2007 World Championships, but Lee McConnell (right) thinks they should have an Olympic medal to go with it. Sources at athletics’ governing body, the IAAF, say they have been bemused by the IOC and the BOA have asked for full written reasons for their decision. The IOC have merely said the time limit has expired, and results stay as they are. But the sport is struggling to retain credibility in the run-up to next month’s World Championships in Moscow in the wake of Gay and Powell’s positive tests, along with four Jamaican athletes, and The Mail on Sunday revelations that the head of Moscow’s anti-doping laboratory was questioned on suspicion of distributing banned drugs. Charges against Grigory Rodchenkov were dropped but his sister, Marina, was convicted of ‘illegal trade of strong drugs’. 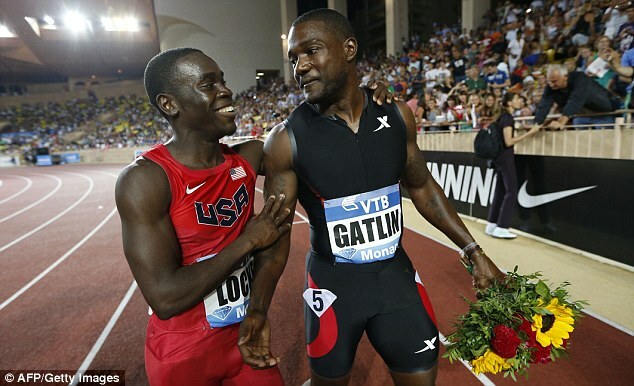 On Friday night, Justin Gatlin, who has twice failed tests and earned an eight year-ban that was reduced to four years, won the 100m at the Golden League meeting in Monaco having won a bronze medal at London 2012. He now looks favourite to challenge Usain Bolt next month, with the withdrawal of Yohan Blake through injury and of Powell and Gay because of the failed tests. 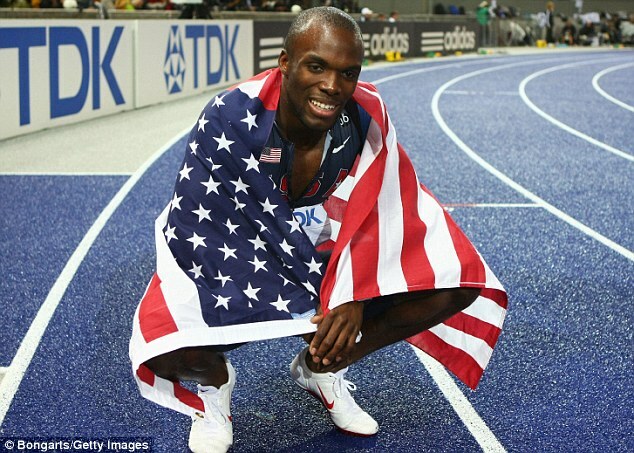 McConnell also cites LaShawn Merritt, the 2009 world 400m champion, who tested positive for steroid DHEA, as another who makes clean athletes lose faith in the sanctioning process.His ban was reduced to 21 months and he returned for the 2011 World Championships and overturned an IOC rule to run in London. McConnell said: ‘He didn’t really miss anything. He was back at the following world championships winning a silver and back on the Diamond League circuit, which is where athletes earn money. ‘There doesn’t seem to be any real punishment. They’re allowed to take money away from clean athletes and are driving youngsters out because they’re not getting the chance. ‘I didn’t trust some of the athletes I lined up with but I put my faith in the IAAF and the IOC to catch them.